Just a short show-and-tell today because I needed a new eating spoon. I lost my old favorite a few weeks ago and as near as I can remember, it was about 20 years old. I remember this because it was cut from the end of a bow stave of a bow I love. Here is the new one made from Walnut harvested in southeast Missouri. 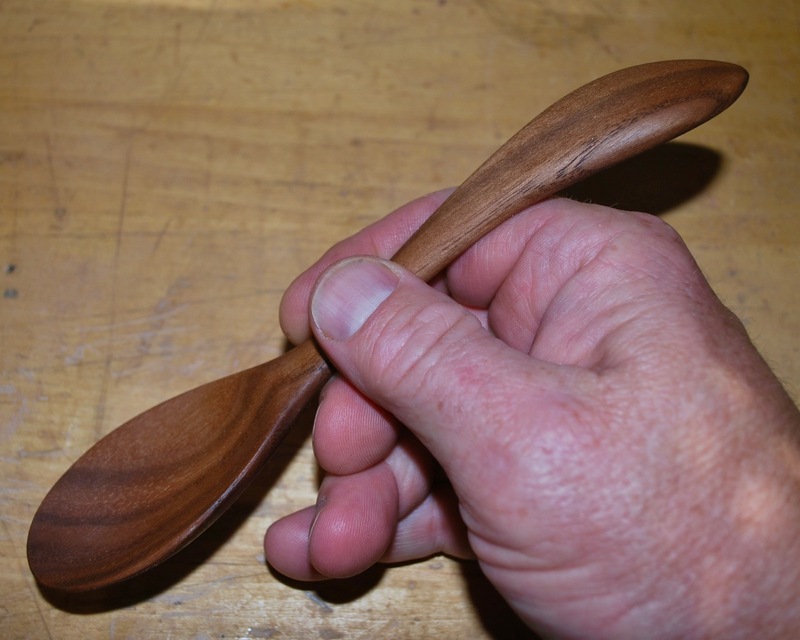 The growth rings helped determine the sweep to the handle. It is satisfying to use something you create yourself, even if it isn’t perfect. Maybe not as dense as Osage orange (Maclura pomifera) but walnut will hold up well and darken with time. The board this came from was quite variable in density and color. This spoon comes from the lighter-colored part. For me, function comes first for a tool like this but grace and beauty should not be left out of the equation. 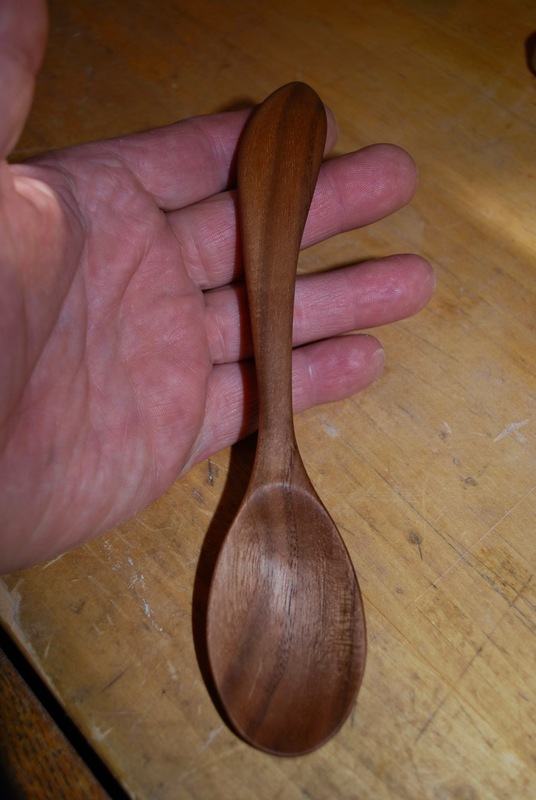 After it was finished, the whole spoon was rubbed down with walnut oil and it will be treated again in a couple of days to help protect the wood from soaking up flavors. I love this. 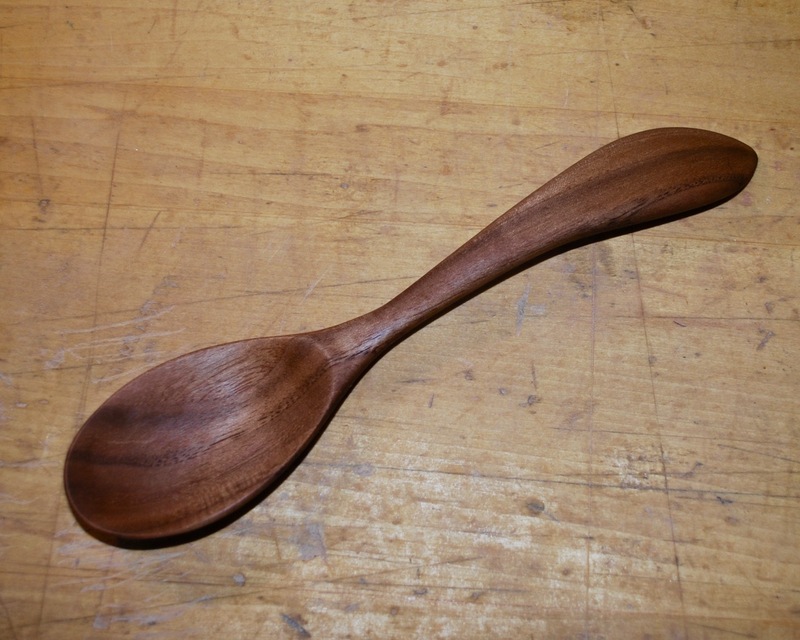 Things like this bring meaning to our lives so much more than using any old spoon. When we lose things I always think that either someone else was meant to find it and needed it, or it was meant to create the next thing. Enjoy the new one. Thanks Bill. And thanks for the nice card.